The dessert display case. I can&apos;t keep my eyes off the dessert display case. I&apos;m dining at Bread Basket Cafe & Bakery in Danville, which is part of this year&apos;s HollyDays Cookie Trail - one of 13 businesses that feature a delicious cookie recipe for you to make, bake and share. Simply stop by any of the businesses to collect the cookie code and then enter it on our website to download or print the recipe. Or, scan the QR code with a smart phone. 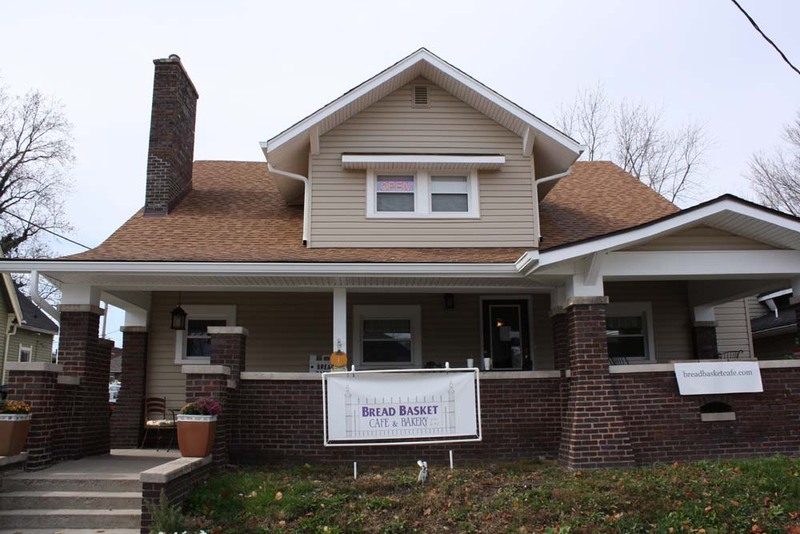 No matter how hard I try to listen to my wife&apos;s conversation, my mind -- and eyes -- keep wandering to that enticing, refrigerated centerpiece of the newly relocated Bread Basket Cafe & Bakery, now open at 40 S. Tennessee St., in the heart of Danville. Throughout my lunch, a steady parade of servers open the case to slice generously sized pieces from a dozen full-sized, decadent desserts. The goodies range from a moist red velvet cake - featuring chocolate chips and two layers of cream cheese icing - to brownie cream cheese pie. How sweet it is to see the Bread Basket triumphantly full of customers in its new 40-seat space, just off U.S. 36. The cafe relocated from Coatesville and closed its takeout location in Danville. Hours are 7:30 a.m. to 3 p.m. Tuesdays through Sundays for breakfast and lunch. The new spot sits in a former house and features the country cottage charm of buttercream-colored walls, a hardwood floor, floor lamps and fireplace. The restaurant has "family" written all over it. Sure enough, owner Judy Sexton warmly checks on customers and daughter, JinAyla, flawlessly ensures quality dining experiences. The other personnel, who include family members, seamlessly run like clockwork. The wafting smell of butternut squash soup snaps me out of my display-case daze, enabling me to concentrate on the food that JinAyla just delivered to the table. A dreamy, fluffy bread roll accompanies the soup; the chicken salad is plentiful; and the pork loin special of the day features a compote and dressing made from cranberries, pears, apples and caramelized onions. The made-from-scratch dishes, which also include salads, pasta and sandwiches, are created from ingredients that often come from local organic growers. Before long, my attention turns back to the dessert display case. I am not disappointed by my choices of red velvet cake and flaky apple pie. But I&apos;m also not done. 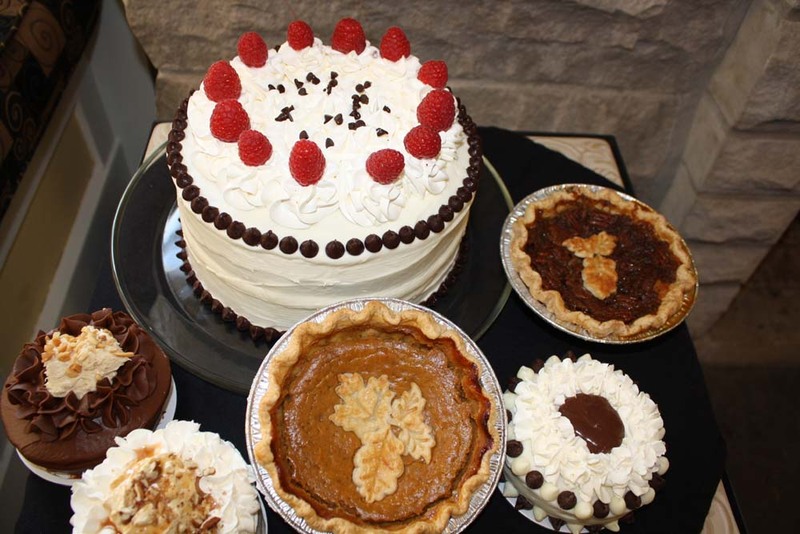 The cafe features smaller-sized, to-go dessert portions called Sweetie Pies and Baby Cakes. They&apos;re flanked by chocolate peanut butter dream bars, cinnamon rolls and other sweet choices. Let&apos;s not forget about the cafe&apos;s namesake. Handcrafted, dense loaves of bread are available for takeout, including the popular honey oat plus rotating choices like tomato basil and cheddar asiago. Next time, I won&apos;t forget to take home a bag of those delicious rolls. All these take-home breads and desserts include a sticker with the ingredients and inspirational words about them, such as John 6:51 (bread) and Proverbs 23:13 (honey). I will be religiously returning, again and again, to the Bread Basket.